The four technologies unveiled are: 3D printers so advanced they could print UAVs during a mission; aircraft parts that can heal themselves in minutes; a new type of long range aircraft which divides into a number of smaller aircraft when it reaches its destination, and a directed energy weapon that could engage missiles at the speed of light, destroy them and protect the people below. 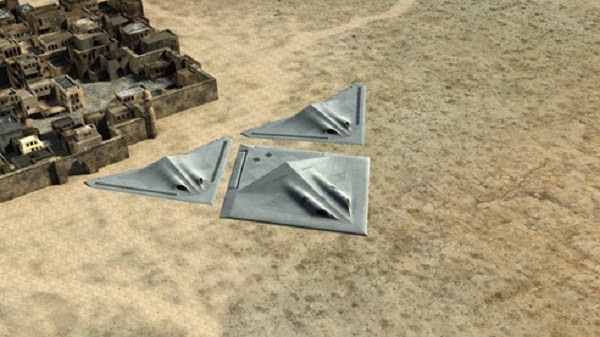 Experts at BAE Systems’ Research and Development team at Warton are offering an unique insight into some ‘drawing board’ technologies that would normally be kept well under wraps. The team works with the UK’s leading aviation thinkers from universities, Government and a whole range of companies to predict and explore how aircraft engineering might evolve. Based on their thinking, the four futuristic concept aircraft technologies have been brought to life in short animations.